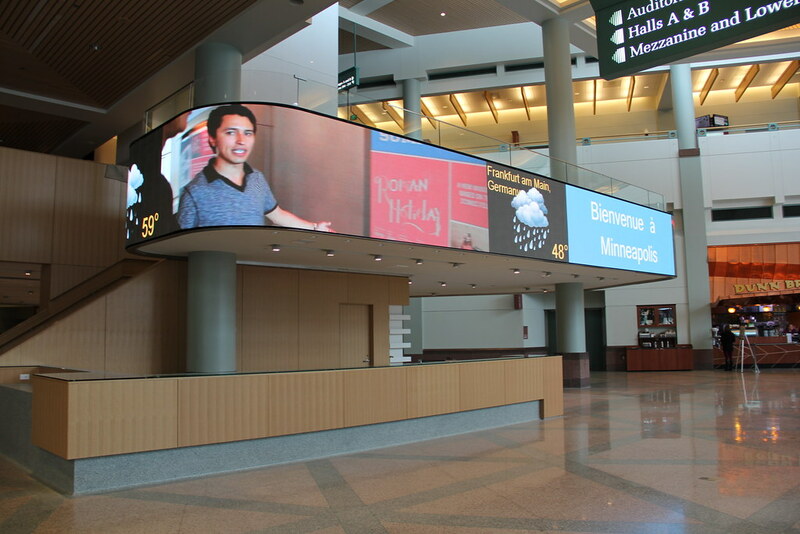 Meet Minneapolis wanted to outfit the Minneapolis Convention Center with a large digital signage display to welcome visitors and provide valuable, timely information to its many daily visitors. The convention center’s 475,000 square feet of exhibit space and 87 meeting rooms are a hub of activity throughout the year for many organizations. 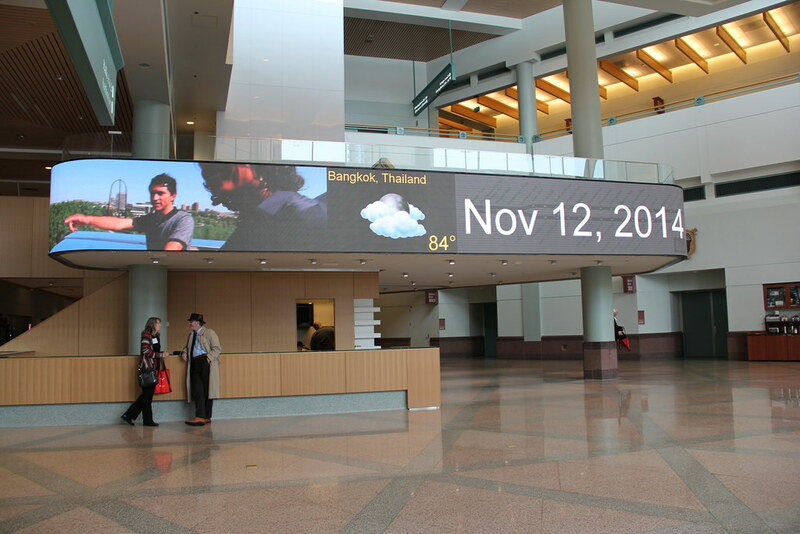 Tierney met the needs of Convention Center by designing and integrating an 81’ long x 5’ high, curved LED digital display. Unique among LED displays, the curved design brings interest and engagement by offering a bright, vivid and eye-catching image even when dealing with ambient light. The display is also built with the environment in mind; it’s created from 50% reclaimed material and is almost 100% recyclable. 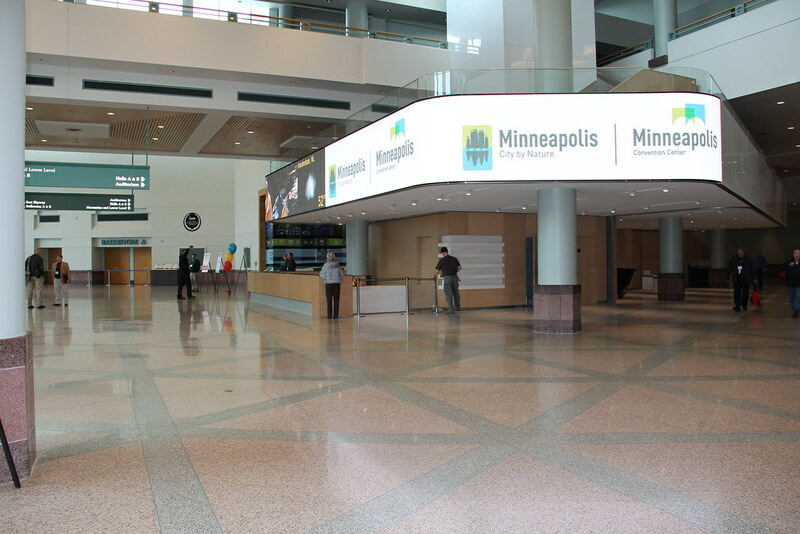 Meet Minneapolis, Convention and Visitors Association, promotes the Minneapolis community as a premier convention site and visitor destination. Six major departments carry out the organization’s initiatives to ensure a memorable experience in Minneapolis.